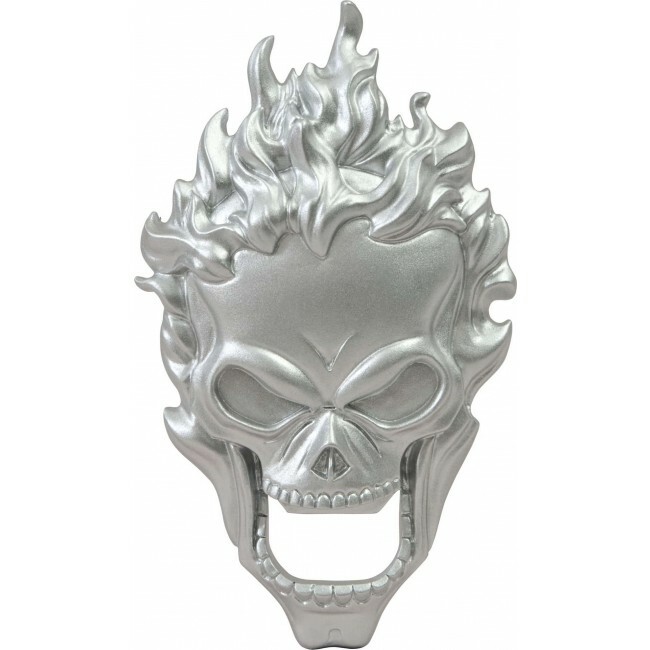 DST brings you this exciting bottle opener of Ghost Rider, Marvel's motorcycle hero! He's a-blazin' away with that that flaming skull of his, but you can easily use his upper and lower jaw to open your favorite beverage without getting burned! And when you're done, you can mount this 4-inch solid metal bottle opener of the Spirit of Vengeance on your fridge using magnets mounted on its back!